You probably know these days when you end up spending quite a lot of time fixing a small detail. At times you just feel like giving up and taking another direction. 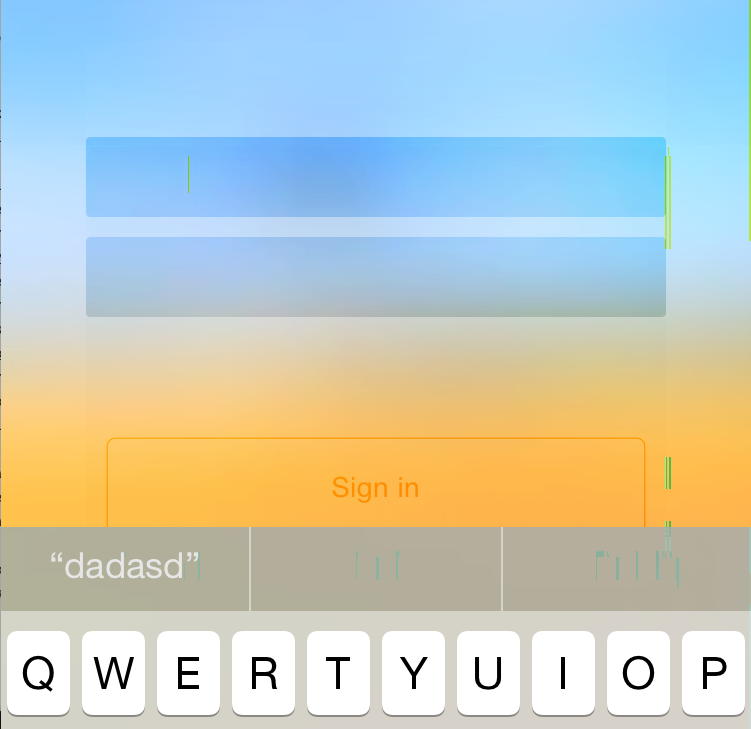 But I really wanted to use the new UIBlurEffect and UIVibrancyEffect tricks in iOS 8 on the login screen for Høst. A couple of days ago, I wrote about smooth transitioning from LaunchImage, but what I didn't include then was the blur and vibrancy effects. And that's when it started to get "interessting". Was it because of everything being inside a ScrollView? Was it because the background color of the textfield was at 0.3 alpha? Oh no, is this due to franctional frame coordinates? But I use Auto Layout?!?!? I tried everything. Even hardcoding frames, instead of using Auto Layout (from code, not Interface Builder). I also moved the textfield outside, and above the effect views just to see I wasn't going crazy - and sure enough anti-aliasing worked as it should when placed outside the effect views. Then I tried playing around with the text color. I figured that since the background color of the textfield was white, and the text color was black - it ought to anti-alias the edges with white. Not much better! After all, the background doesn't seem to have influence on anti-aliasing at all. The white fuzziness looks pretty much the same as before. Now that looks a lot better. I tried playing around with the colors, and in terms of black I didn't get a desireable result with less than 0.1 for red, green and blue. A UIVibrancyEffect object amplifies and adjusts the color of the content layered behind a UIVisualEffectView object, allowing the content placed inside of the contentView to become more vivid. The vibrancy effect is color dependent. Any subviews that you add to the contentView must implement the tintColorDidChange method and update themselves accordingly. And sure enough, it adjust the text color to fix anti-aliasing - of course that leaves us with little control over the text color - but that's what we kind of ask for when using the UIVibrancyEffect. I might need to adjust the font, to make it a little more readable - but nevermind for now.